The first exhibition of schizophrenic artist Peter Burton will open at The Brick Lane Gallery in East London this autumn. 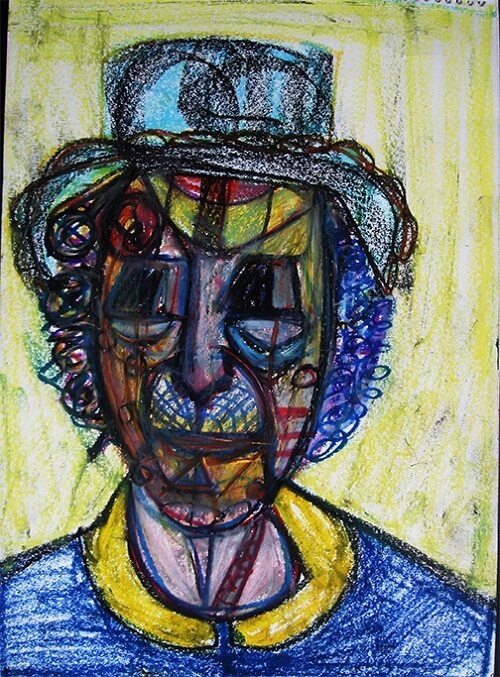 The exhibition, which runs from 7-20 October, will showcase painting and oil-pastel works by the artist who was diagnosed with severe schizophrenia more than 30 years ago. Burton's sister Tina, an art lecturer at University of Cambridge, has helped finance the event via a crowd-funding campaign through Kickstarter having seen her brother re-engage in his craft in 1999 having not produced work for 27 years. She said: “Despite not practicing any form of art for over two decades, Peter’s sensibility and technical skill as an artist was still evident even from the first sketches. The exhibition at The Brick Lane Gallery forms part of an ongoing project to fund a permanent workspace for Burton and raise awareness for people living with schizophrenia. Burton's work comprises largely of portraits of family members and public personalities embedded in his memory prior to diagnosis. He works on several sequences simultaneously – revisiting the same subject and composition multiple times – producing images marked by their contrast and experimentation. “Providing Peter with a dedicated workspace will not only enable him to continue drawing and painting, but will also facilitate a form of therapy and possibly encourage others with mental health issues to participate in similar projects,” added Ms Burton.